LOS ANGELES – The L.A. County Department of Public Social Services announced Monday that it will release CalFresh benefits for February on Wednesday in an effort to ensure that the the county’s most vulnerable residents receive the food support they need without interruption during the government shutdown. CalFresh customers may contact the Department of Public Social Services Customer Service Center at 866-613-3777 for assistance and additional information. 29 comments for "L.A. County announces early release of food stamps"
If someone gets food stamps how does it affect the rest of you ? I can’t believe the comments “LAZY, get a job, unmotivated”. Seriously? I have worked since the age of sixteen and have paid $$ into our tax system as most people. I am 59 and lost my JOB at 54 and haven’t been able to find a job in this wonderful Antelope Valley since moving here and too overqualified to even be considered for a WALMART job. How dare you ! 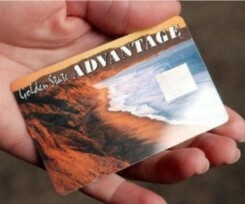 I’m in need and thank goodness for EBT or I’d starve to death and thank goodness for Medi-Cal or I could be dead! I have a medical condition that must be monitored and I am still able to go to a doctor. I used to have PPO and a great job and now i feel like I’m in the pit of hell. So, to those that think were lazy, unmotivated and jobless, I pity you and hope your situation stays marvelous and fruitful and that YOU ARE ABLE TO FEED YOURSELF or YOUR FAMILY. This isn’t where I wanted to be and if you own a company can I work for you ? You seem to think that getting a job is similar to getting mail. PISS OFF ! Well said!!!! I to am very grateful for this same assistance. Grant it I work my rear off any where from 25-45 hrs a week also paying into the system I receive from and would not be able to survive without it. My best of wishes to you . Stop giving these people things that they do not deserve. The programs are here to help, not make to it your career life’s work to collect undue benefits. Sad that the people that take advantage of these programs talk to the other people that are on the same plan, and know all the loop-holes. If a government agency tries to police these people, they take the risk of being sued by the people that are violating the benefit laws. Sad, Sad, Sad… Get a job and contribute to society. STOP FOOD STAMPS FOR EVER. I’m a working woman, & I pay taxes. I also have Foster Children that rely on these benefits. Please be mindful of your comments because some do NEED these benefits!! You to are probably abusing the system. You are ignorant af some of us that are on food stamps and Calworks do it for the right reason. I work and pay taxes myself and go to school and I know many others that do to, but yet we need a bit more help and there is no shame in asking for it. Stop being mad and saying people are abusing the system when some of us aren’t. These programs actually help us find work or schooling to better our life and our families life. Not all of us abuse the system you internet trolls. Maybe you should do some research before you react on it by what your family done told you growing up. Some of y’all don’t have no Heart It’s To Help People to get on there Feet if It homeless or young people with kids That Needed It And it Doesn’t matter if U work or not Some People That Do work they Have That Too So Yeah!!! This is ridiculous!!! Where is the break for all the hard working people that pay taxes for these programs? I understand in life someone is going to need a helping hand, but to tax us heavier for continued life time support is wrong. Why should they be able to fill their carts with food when we have to be selective? Why do I have to stand by idle while they buy alcohol at grocery marts and use EBT. I’ve seen it many times. It makes me sick. Why do we have to wake up early each morning and get ready for work while they sleep in? When will this end? When will people take responsibility for their lives and choices they made/make? Free food, free money, free healthcare, free/cheap tuition fees, reduced rents, mortgage programs, reduced child care and to top it off, they get more than they pay when taxes returns come around. We are a socialist nation beating those who try into the ground. The government takes our money at gun point. Think that’s extreme? Ask yourself what happens if you stop paying taxes. Yes all true they are all lazy people taking advantage of the hardworking people that wake up early so they can sleep in all day they disgust me. I have a job and they still ain’t enough for bills and rent , everyone bashing ppl with food stamps it’s helps but hosntly it dosnt help when you have a big family and they give u so lil but it’s somthing but now this.?!! Well stop having so many kids if u can’t afford it. Some ppl are stupid and ignorant. That’s how you lazy people want to see it. I hope they never give these out anymore they should go find a job and stop free loading off of everybody that works they are lazy and unmotivated. It’s not called not having a heart it’s being for real most that have them are lazy people with a ton of kids if you can’t afford life than stop having so many kids. Period. I work & I have Foster Kids that receive assistance. Can we please stop trash talking if we don’t understand what everyone’s doing in their own lives. What about Cal Works? Will Cash aid be on Monday as well? Yes all them lazy people who can’t buy their own food.